The Counting Online Usage of Networked Electronic Resources (COUNTER) statistics provide consistency, credibility and compatibility standards to record and generate reports of online usage statistics among providers. 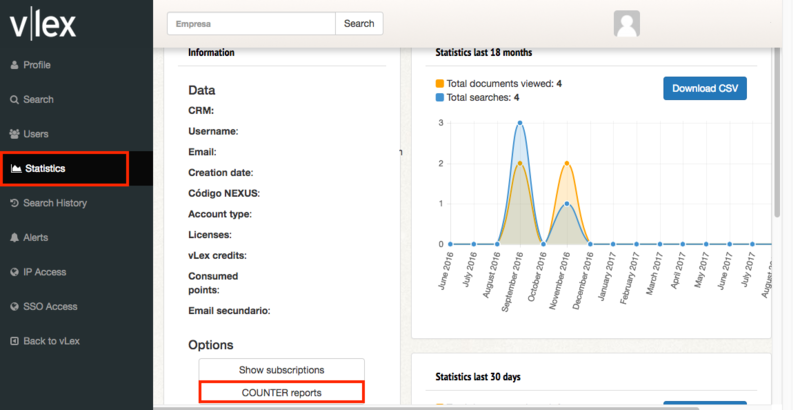 The COUNTER reports provide usage statistics, audited by COUNTER and available on vLex. 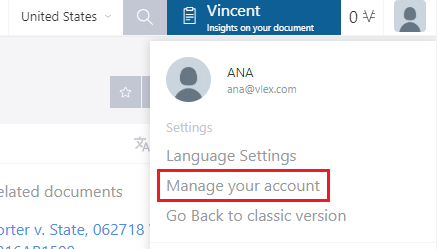 Contact your sales representative or send an e-mail to: support_academic@vlex.com to activate this feature. How to access COUNTER statistics? 3. 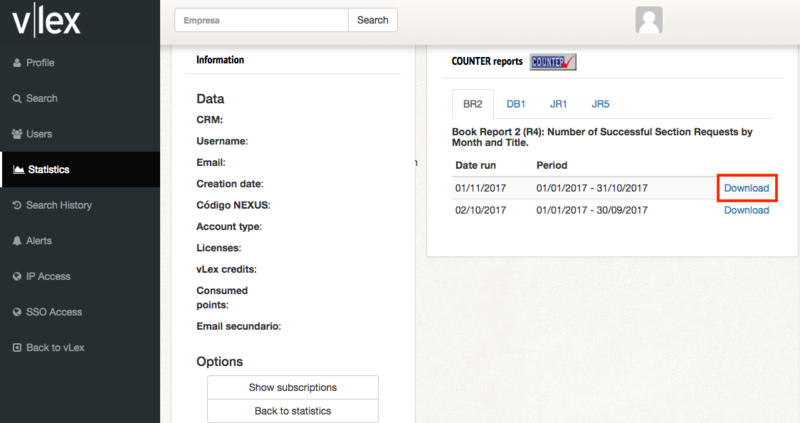 View usage statistics and download a monthly report. vLex uses SUSHI, which is a communication protocol used between vLex and clients to obtain the COUNTER statistics in XML, the standard format. Contact support_academic@vlex.com for the configuration parameters of the SUSHI protocol. COUNTER statistics are only available for clients with Academic or Corporate accounts.